Kelly Gay writes the critically acclaimed 'Charlie Madigan' urban fantasy series. Her work has been nominated for a double RITA, an ARRA, a Goodreads Choice Award, and landed on SIBA's Long List Book Award Finalists. 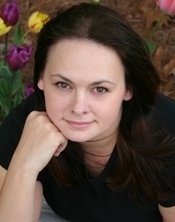 Kelly is also a recipient of North Carolina Arts Council's fellowship grant in Literature. She is published in Young Adult fiction as Kelly Keaton.